Distance running & athletics is something I’m extremely passionate about. I am a fully qualified personal trainer with an experienced background in running. My hunger for running began when I joined Bingley Harriers & AC. This was my first opportunity to competeÂ for the full year, in 5k, 10k, and half marathon events. 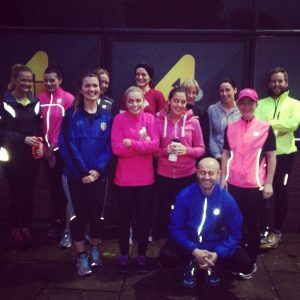 In September 2014, I decided it was time to take a lead role and develop my own running club in Leeds. 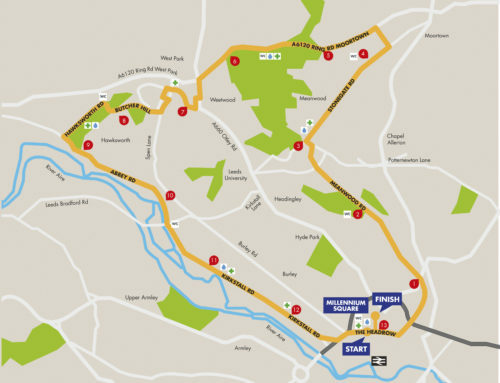 There are plenty of running clubs in Leeds, however there wasn’t one for the location of Headingley, having lived in the area for 8 years I know perfect running routes where the correct training systems can be applied. 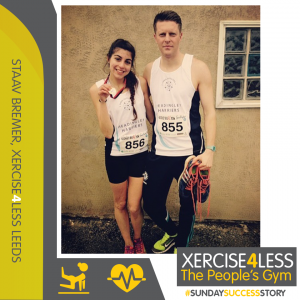 My search for new running members began at the Xercise4less gym on Kirkstall road where I work as a self-employed personal trainer. Through my blog and Facebook pages Facebook pages I Promoted and recruited new members to the online group. This was perfect for me to keep members up to date with all the latest information in regards to training times, location, and the type of session. 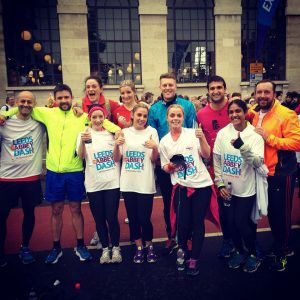 Since the launch date, Headingley Harriers have mainly competed in 10k events although we have had members take park in the London marathon and also other half marathon races. 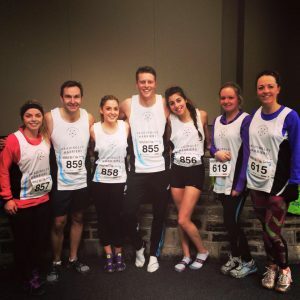 The Abbey Dash 10k in November 2014 was the first event we entered as a club which brought amazing success with almost every member achieving personal best times. Dewsbury 10k in February 2015 was another opportunity for a PB with the course being a relatively flat and fast one. This was a very proud moment as every member that participated from Headingley Harriers achieved a personal best time, all the hard work over the months building up to the event was rewarded and rightly so. Having competed in a couple of races as a team I felt the time was now right to design and develop team race vests to differentiate us from other clubs and be recognised as Headingley Harriers. I’m very happy with the end product, the race vests complete the look and unite us as a team. In March 2015, we competed in the Keighley 10k which was a very special occasion that put Headingley Harriers on the map with Staav Bremer becoming female champion finishing 1st lady. This was also the launch and debut for the new race vests, what better way to mark our first appearance in them than with a win. 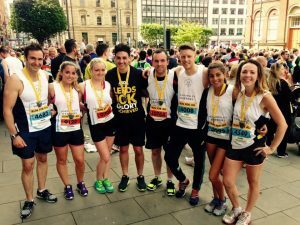 Headingley Harriers latest race was the Leeds 10k in July. A fantastic effort from everyone involved with members turning out some impressive times. It was also great to see one of our female runners finish in the top ten of the female category with a 7th position finish from a field of well over 7,000 competitors. In the build up to races we always follow a progressive program, having a well-structured plan in place ensures members are developing in all aspects of running. 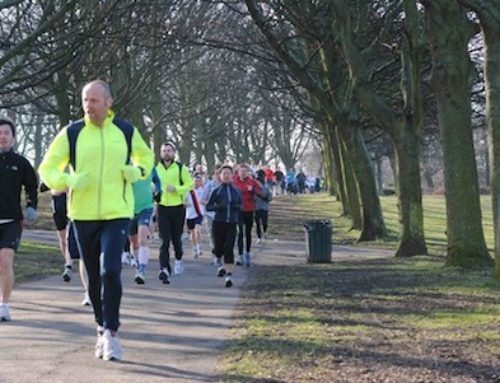 At Headingley Harriers we have members that run for various types of reasons, whether they want to run for fun, keep fit, compete, or even meet new people with like minded aspirations. The club prides itself on being a fun and friendly environment for members to train and keep fit, we always encourage members to have their input and opinions on future developments. As a way of celebrating and reflecting on race completion the club host social events where we tend to go for food and drinks. This is always a great occasion for members to bond and create new friendships, I find that these personally help improve team morale and maintain our friendly ethos. Looking to the future, Headingley Harriers hopes to grow in numbers attracting more people with similar fitness aspirations. 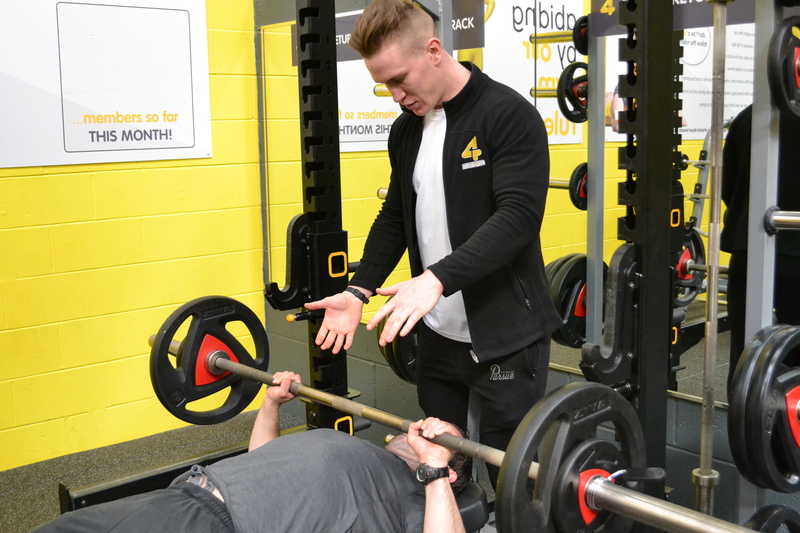 For those who are interested, training sessions are every Monday & Wednesday evening at 6.45pm, with the meeting point in reception at Xercise4less on Kirkstall road. The club is welcome to anyone and caters for all running abilities from the absolute beginner to the more advanced competitive runners. Training sessions cover a wide range of effective and beneficial training systems; Hill reps, tempo runs, cruise intervals, SAQ, Plyometrics, core strength and many more.